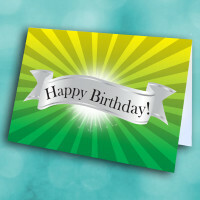 Send a birthday greeting card bursting with excitement to brighten up someone's special day. 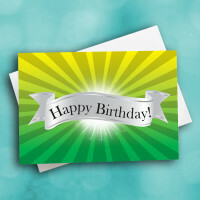 This brilliant birthday card is sure to bring a smile to whoever recieves it. 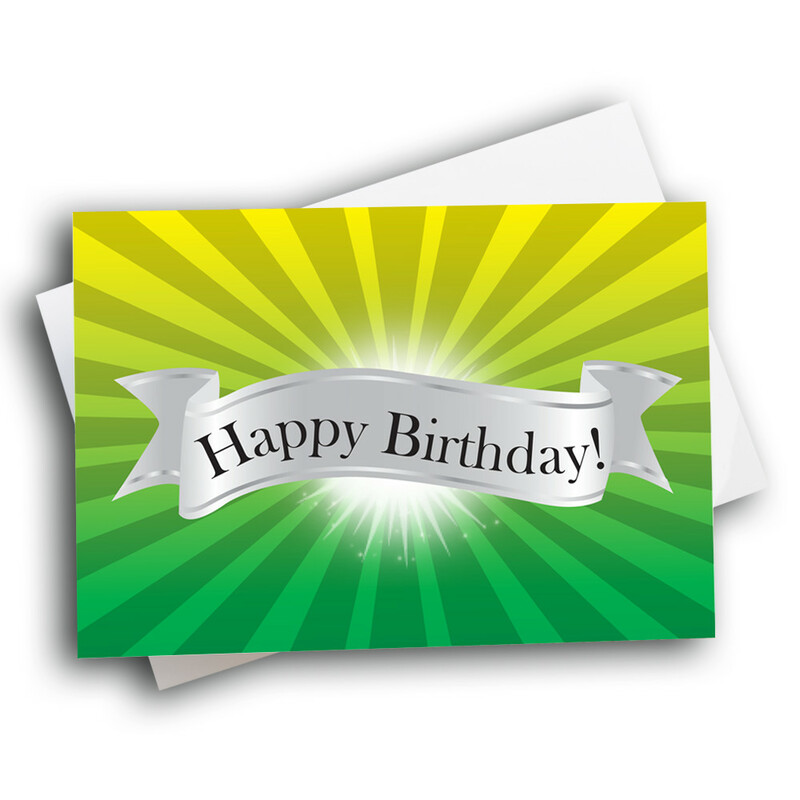 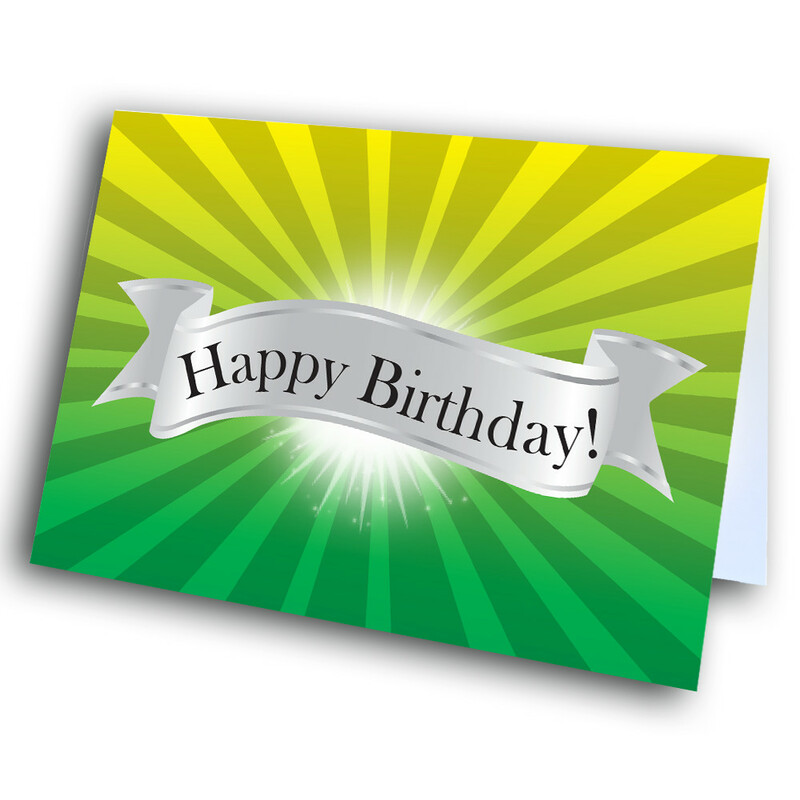 The front is a bright, yellow and green burst of light, shining from behind a silvery banner displaying the birthday greeting. 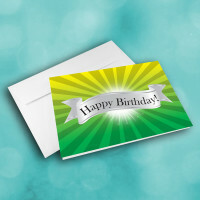 The smooth and classy design make this an ideal birthday card for an employee or a client, or even just for a friend. 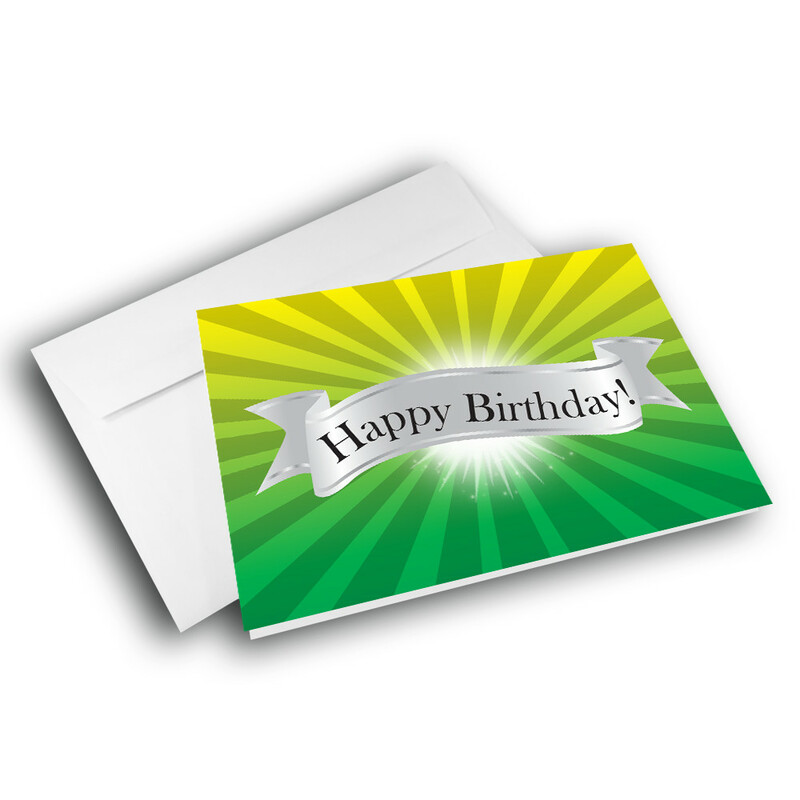 Customize a message inside to personalize the card and make it special.